A cross between sneakers and chukka boots, this casual high-top shoe is entirely handmade. 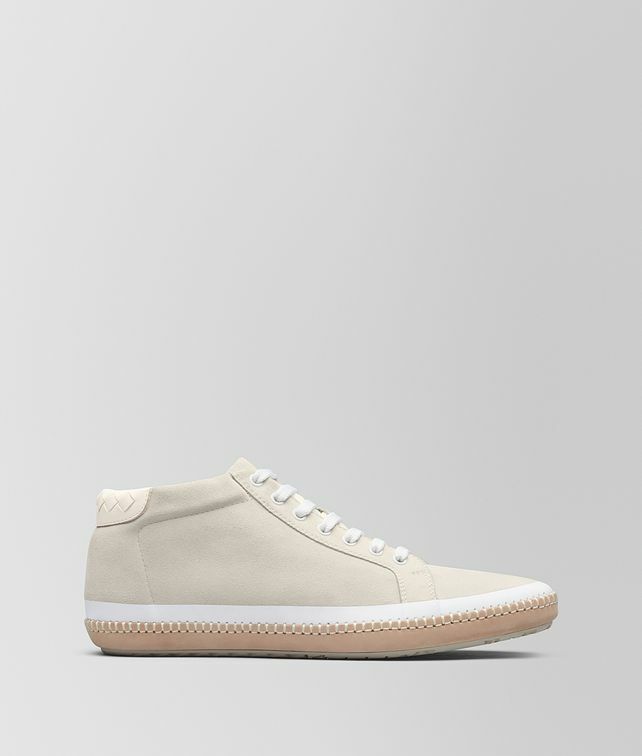 The soft suede upper and leather sole are attached using a double-thread stitching technique, ensuring the shoe is both flexible and durable. Contrast-colour tape detailing and a rubber outsole add a sports-inspired touch. The sneaker is finished with an intrecciato counter, matt metal eyelets and cotton laces.